Boost the nutritional value of your morning syrup with a pint of blueberries. 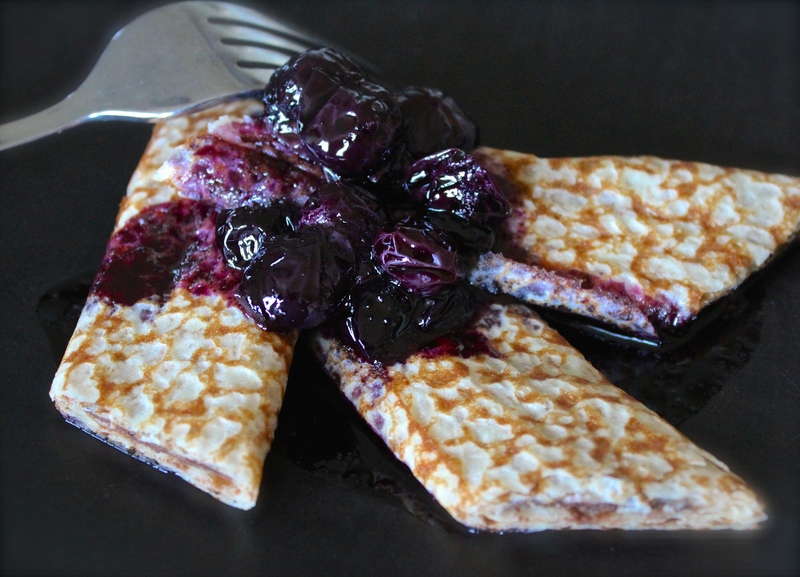 Just place the blueberries in a pan and add 4 tablespoons of maple syrup. Simmer until they pop and the syrup becomes a beautiful purple hue (this takes just a few minutes). On day 65 of this 365 day project, I ate my daily five (including a vegetable sandwich piled with lettuce, tomatoes, cucumbers, peppers, avocado, and a little bit of mouth-watering marinated feta from Yarra Valley Dairy). Did you enjoy yours?